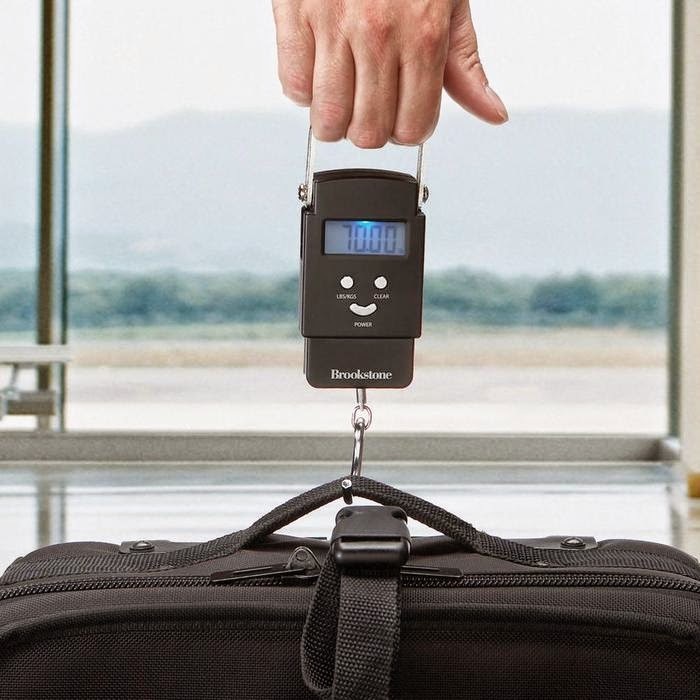 Collection of "Cool and Useful Luggage Scales" takes the guesswork out of weighing your baggage, lets you weigh and measure your bags before departure to avoid airline overweight-baggage fees. 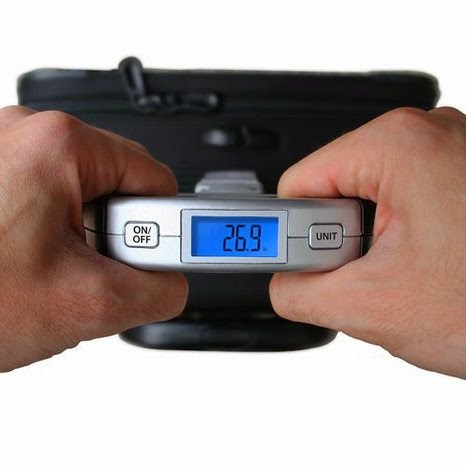 Gravity Ruler Luggage Scale: This simple yet brilliant Gravity Ruler Luggage Scale uses bungee cord that stretches to indicate weight. 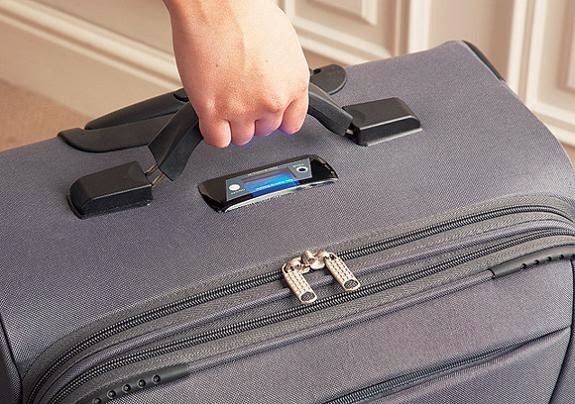 Talking Luggage Scale: This talking luggage scale has a 3 1/2" backlit screen and a built-in speaker that announces the weight in an easy-to-understand female voice. 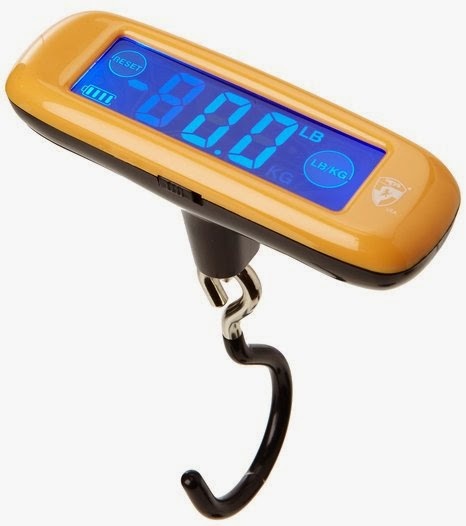 Balanzza Digital Luggage Scale: The Balanzza Digital Luggage Scale weighs luggage up to 100lbs/44kgs, features a large digital display for easy reading. Pocket Luggage Scale: This Pocket Digital Luggage Scale features an easy-to-read display, can weigh luggage up to 99.8 lbs (accurate to one-tenth of a lbs) and displays readings in lbs or kilograms. 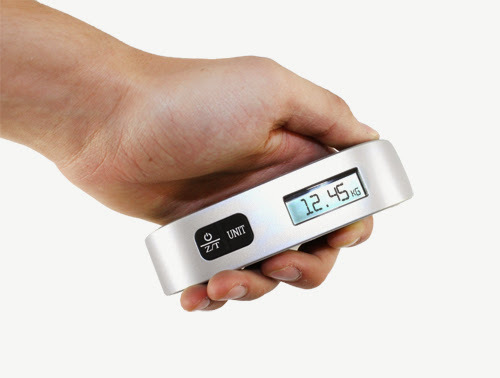 Digital Luggage Scale: This Digital Luggage Scale can weighs bags up to 85 lbs. Weight To Go Luggage Scale: The Weight To Go Luggage Scale is a compact device that works by simply pushing the power button and lifting the suitcase off for about five seconds. 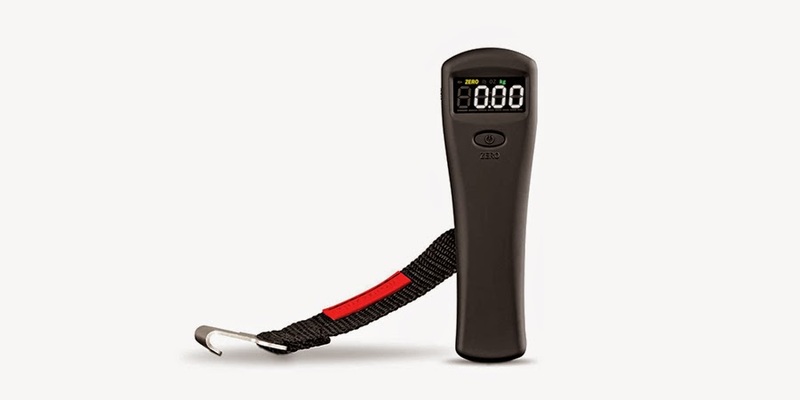 It combines a luggage tag with a handheld digital scale in one device. 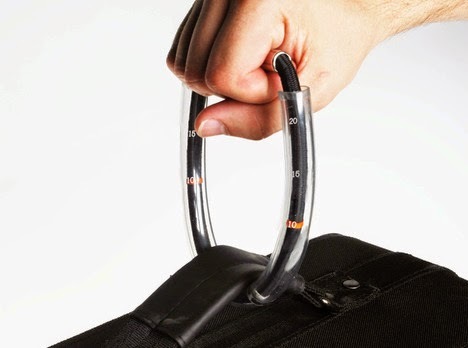 Handy Scale: This simple digital scale on the luggage holder indicates the weight of bag. 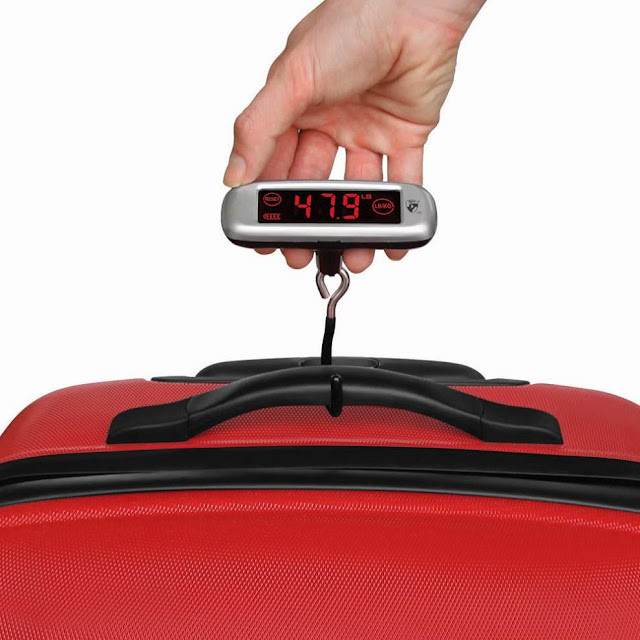 Luggage Scale: This Luggage Scale can weigh bags up to 50 kg and features an easy to read large four-color screen. Travelite Luggage Scale: This portable digital luggage scale comes with weight indicator that glows red if your bag is over 50 lbs and glows green if it's under 50 lbs. 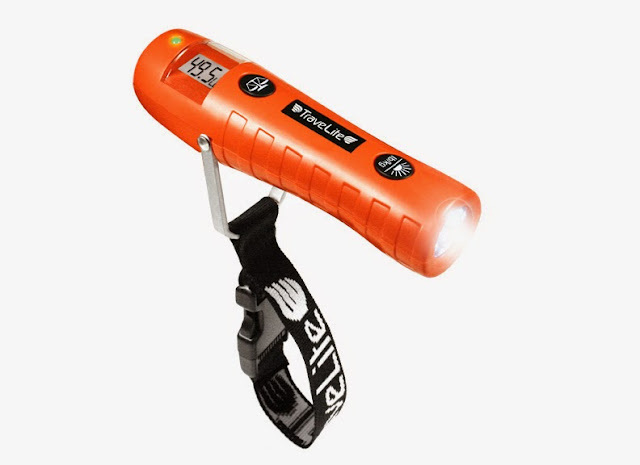 It also features a flashlight. Precision Voyager Digital Luggage Scale: The Eatsmart Precision Voyager Digital Luggage Scale can weigh bags up to 110 lbs / 50 kg, comes with easy-to-read backlit display. 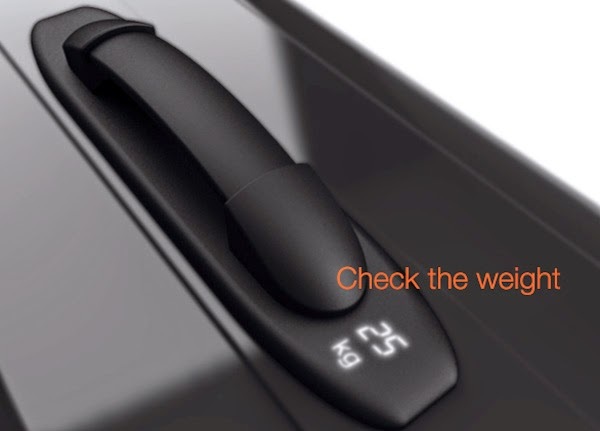 Touch Screen Digital Luggage Scale: It features hi-tech touch screen technology and can weigh bags up to 998 lb / 456 kg. 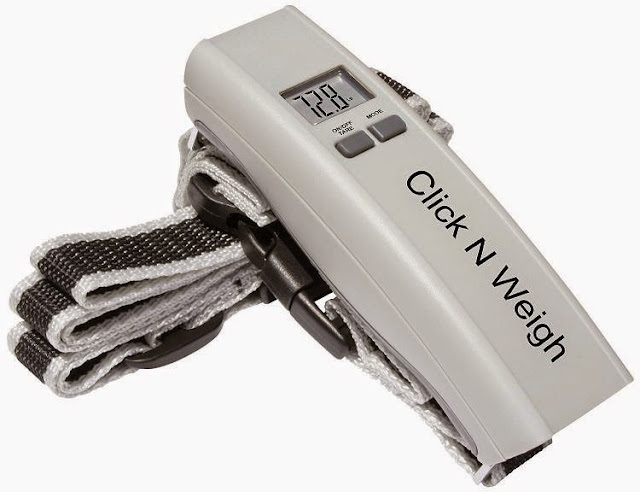 Click N Weigh Luggage Scale: This compact and portable designed luggage scale can weigh items up to 75 lbs or 34 kg. It features an easy to read display, includes beep verification and automatic shut-off. 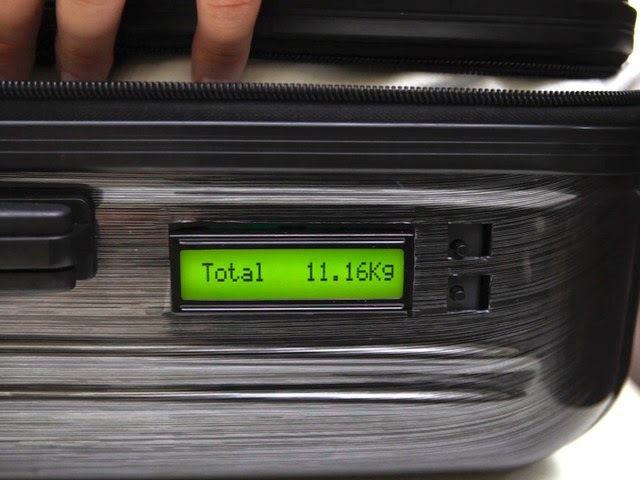 Self-Weighing Suitcase: This Self-Weighing Suitcase features has an own built-in digital scale; to check the weight simply press the button and lift the suitcase. 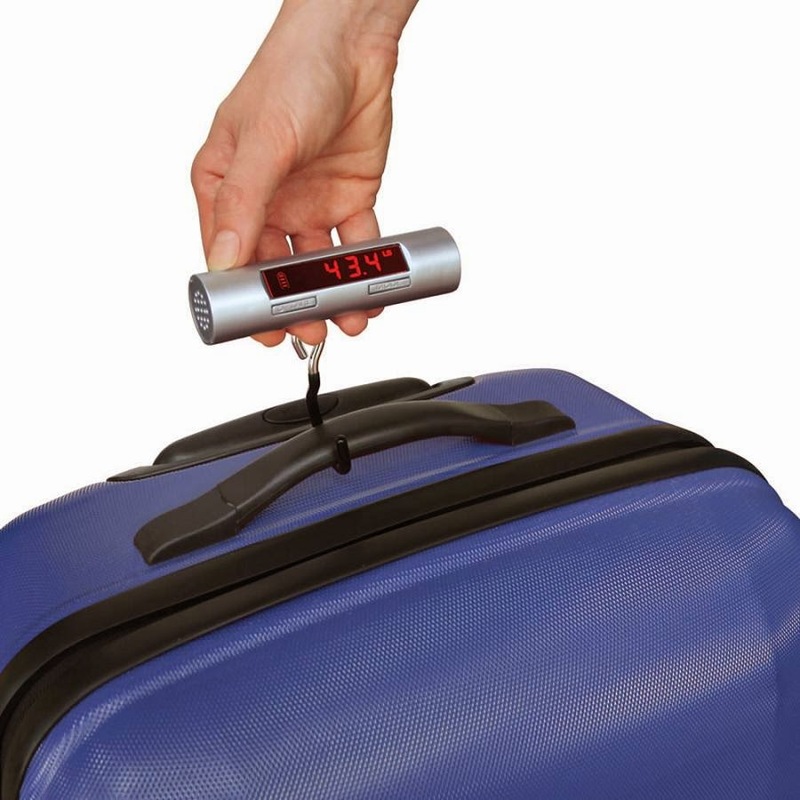 Digital Luggage Scale: This Electronic Luggage Scale can weigh items up to 110 lb or 50 kg.